It is time for another CASology challenge. Check out the latest challenge – Abstract! I had lots of ideas for this challenge cue. I finally decided to make a card that implies a thing, but isn’t shaped like it [you know, abstract] (for instance: pig, snowman, or reindeer). I tried a few things, unsuccessfully, but finally got a leprechaun’s hat to work. The buckle is a die that is not completely straight in the inner corners, but I just trimmed it with scissors. Very cute, and a great take on the cue word. 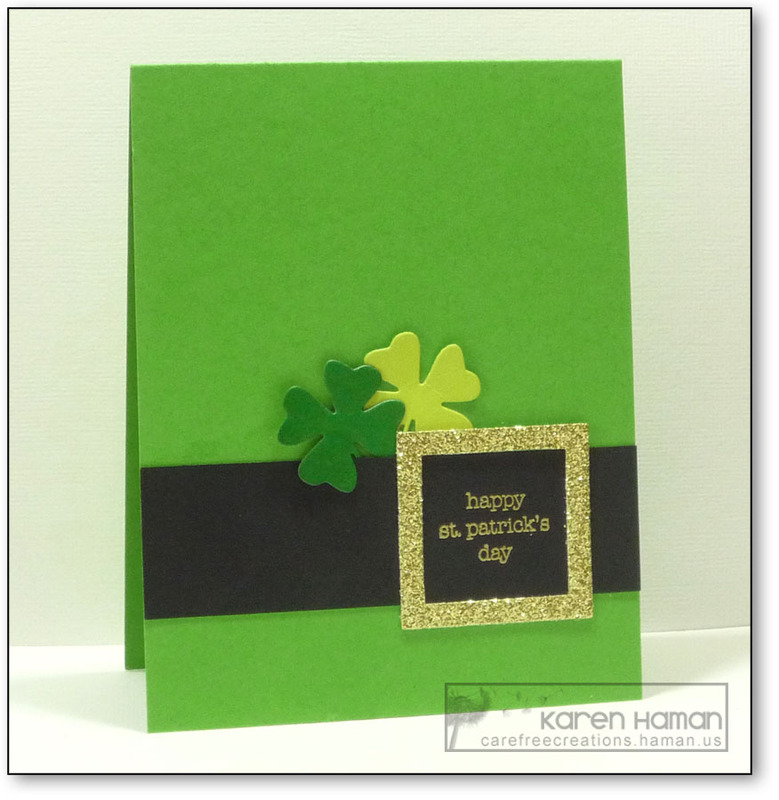 Karen…fabulous take on abstract and St. Paddy’s Day!